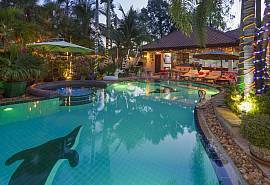 Many visitors to Southeast Asia want desperately to see tigers. These animals are indigenous to the region’s mountains and jungles, and long ago were one of the area's most fearsome predators. 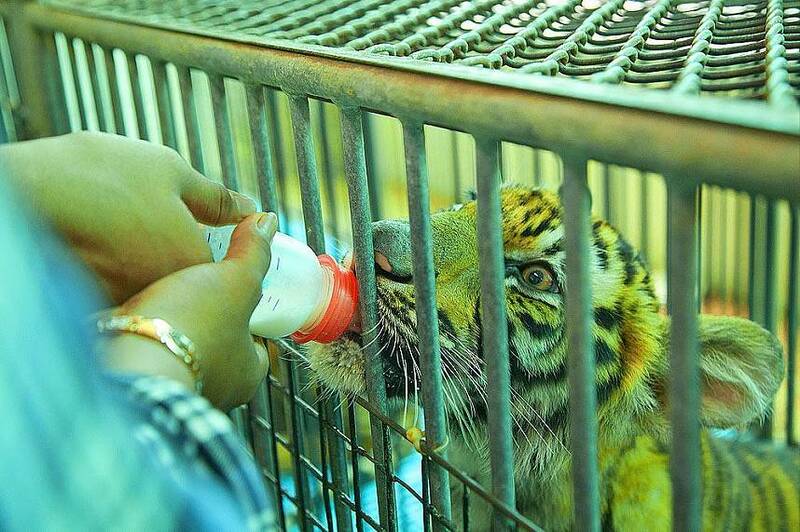 Today, especially in Thailand, wild tigers do exist but are distressingly small in numbers. It’s pretty much impossible to see one in the wild without getting very lucky, yet year after year visitors flock to places like Khao Yai National Park to try their hand. 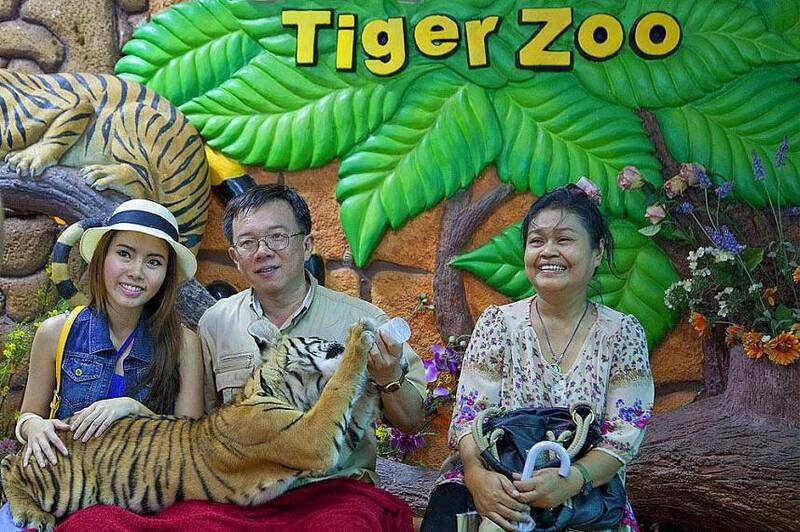 For those who want to see these animals up close without the hit-or-miss difficulty of a national park, Sriracha Tiger Zoo Pattaya offers an excellent chance to see and interact with these majestic animals up close, safe in the knowledge that the big cats are cared for with true love and affection. 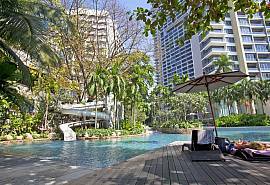 The town of Sriracha is more or less on the outskirts of the Pattaya area, north of the seaside city and about 60 miles away from Bangkok. 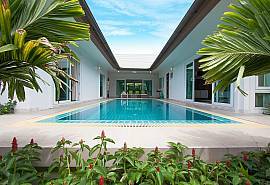 This proximity to both cities makes it very easy for a vast number of people to visit. 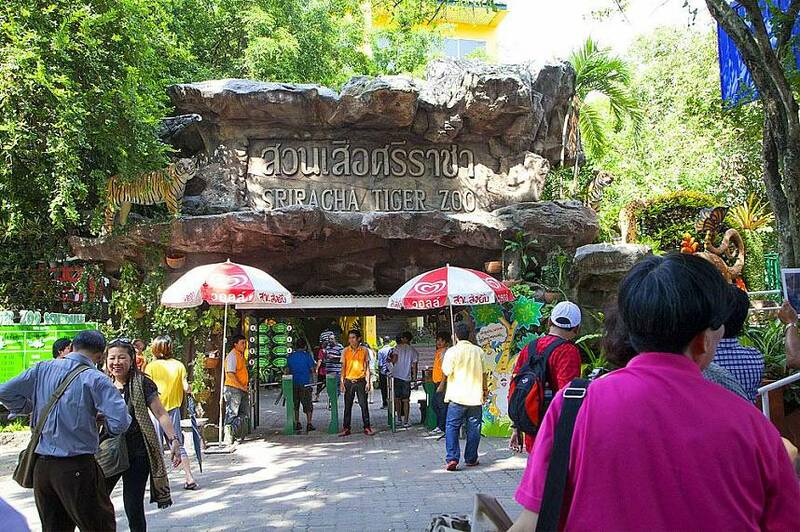 Despite the name, Sriracha Tiger Zoo Pattaya is in fact home to a wide variety of animals. Some of the other species that call this place home include camels, ostriches, crocodiles, elephants and more. 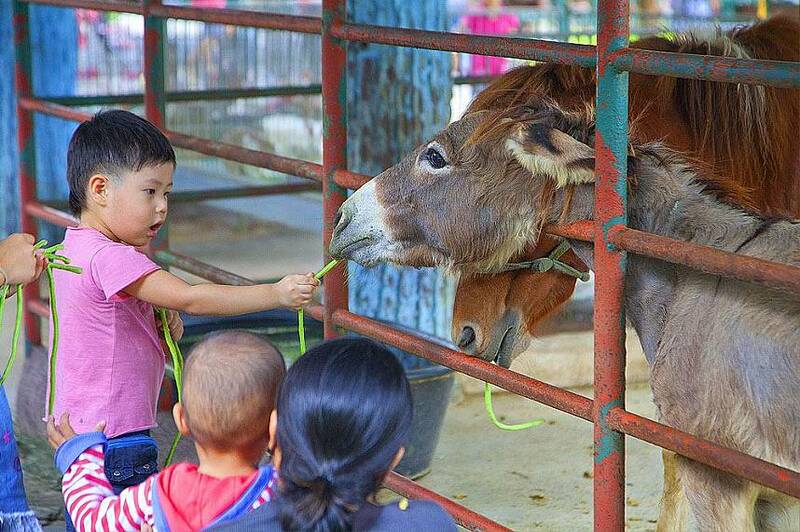 All of the animals at the zoo are well looked after, given top quality food and medical care, unlike some of the other zoos in Thailand. 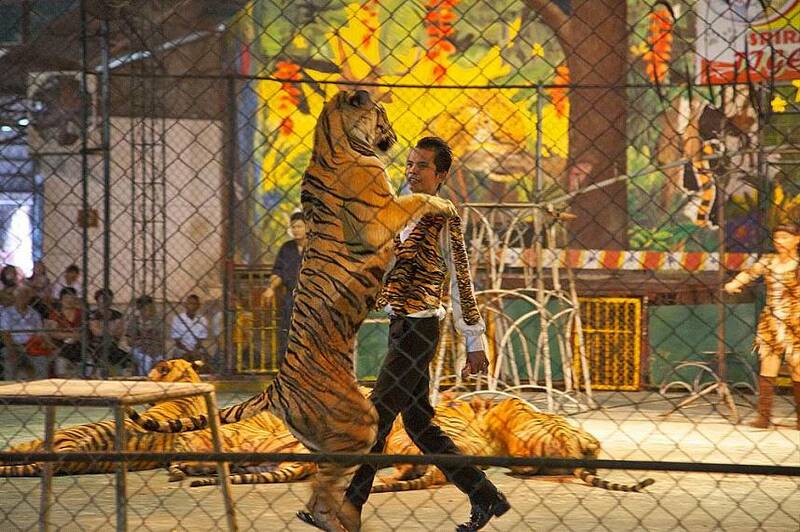 Tiger shows in Thailand don't come much better. 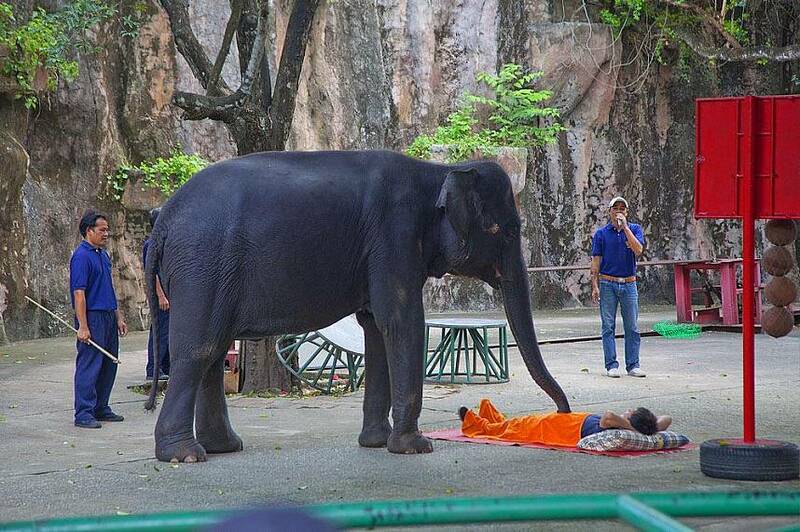 Visitors to Sriracha Tiger Zoo Pattaya will be able to see the true heights of the animals’ capabilities as they put on a number of shows and performances. Some highlights include an elephant show, a crocodile show (including the always incredible act of the trainer putting his head in the open mouth of a crocodile), a pig that can speak five languages and much more. Those looking to create lasting memories can opt for a photo package, offering guests the chance to create incredible keepsakes that they will always remember. For the more dangerous animals, such as the tigers, the trainers are always close at hand to make sure the animals stay under control. The site itself is vast at over 100 acres, but the large size is truly necessary to ensure all the animals have enough room to play and run about instead of being cooped up in a tiny cage. When one considers the zoo is home to more than 200 tigers and a staggering 10,000 crocodiles, it’s a wonder that it isn’t bigger. 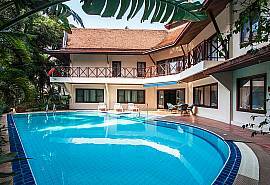 Ticket prices are fairly reasonable, at 450 baht for non-Thai adults and 150 baht for Thais and 250 baht for foreign kids and 75 baht for Thai children. The zoo is open from 8am to 6pm every day, and also has a great restaurant onsite serving Thai and international food. 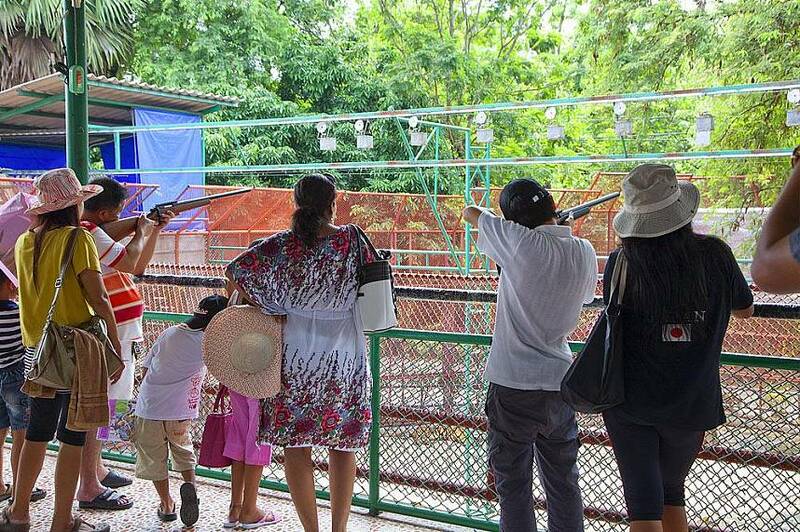 For those who love tigers and other animals and want to see them up close and personal, Sriracha Tiger Zoo Pattaya is well worth the trip. 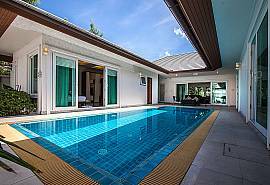 Check out our full range of Pattaya villas and Pattaya apartments for rent.